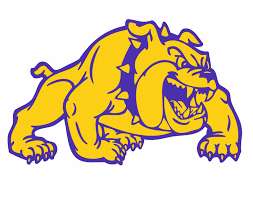 The McAllen Independent School district has reportedly narrowed down its choices for the next McHi Bulldogs head football coach/boys athletic coordinator according to sources close to the hiring process. Weslaco High offensive coordinator Patrick Shelby, Edinburg Vela offensive coordinator Sean Van de Merghel and former San Benito head coach and current Victoria East assistant, Spencer Gantt are three finalists to replace Kevin Brewer, according to multiple sources. District athletic director Paula Gonzalez is expected to recommend a hire at a board meeting on Monday. There were a total of 48 applicants, according to a list provided by the school district. Shelby has been the Panthers OC for the previous two seasons. He worked alongside Michael Salinas both at Weslaco and before the 2017 season at Vela. Weslaco finished with an 11-2 record, winning two playoff games in 2018. Salinas announced his resignation as head coach earlier this month. Van de Merghel is coming off a second season with the SaberCats. He joined John Campbell to replace the Salinas/Shelby head coach/offensive coordinator. Vela has been arguably the Valley’s best offense the last two seasons, both playoff runs ended at the hands of Austin Westlake in the regional quarterfinals. Spencer Gantt is the lone finalist coaching outside of the RGV, but he hasn’t been gone for long. Gantt coached the Greyhounds from 2009 to 2013 and accumulated a 28-26 record. The team made the playoffs in his first three seasons at the helm, but did not reach the postseason in his final two years at SB. He was also in the lower Valley at Los Fresnos prior to his role at San Benito.